A Toast to Beauty's talented team of stylists can do it all. From up-do's to down styling and everything in between. Including wet to dry blowouts, half up half down styling, endless braiding technique's and much more. We use nothing but the best when it comes to hair products and styling tools. Each stylist will implement our signature A Toast to Beauty techniques and will bring your visions to life. We offer both Traditional and Airbrush Makeup. Our makeup services include a traditional, full face makeup application with faux strip lashes. You also have the option of upgrading to individual lashes and/or flawless airbrush makeup. Savanna has personally selected her favorite, professional makeup products and brushes. Some of them being MAC, Anastasia Beverly Hills, Bobbi Brown, Charlotte Tilbury, IT Cosmetics, NYX Pro, Smashbox, Tarte, NARS, Morphe, Inglot, Laura Mercier, TEMPTU Pro Airbrush, etc. 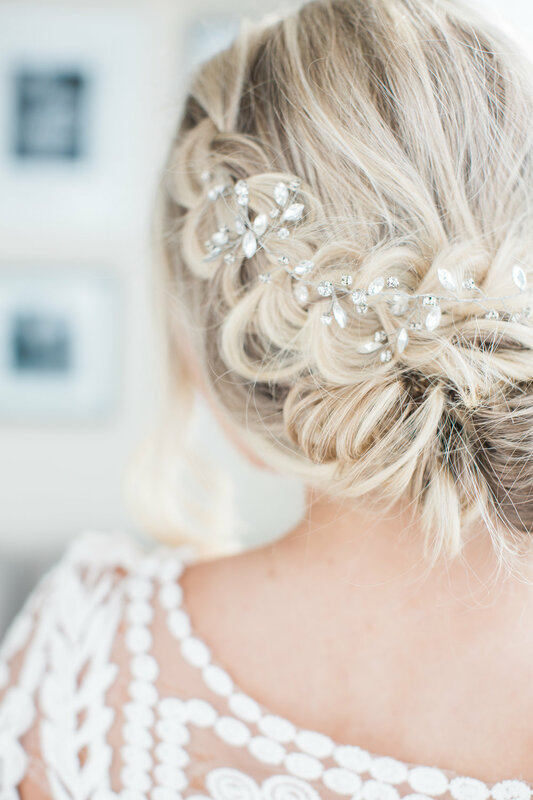 Look no further for the perfect hair accessory, jewelry accent, or wedding veil because we've got you covered! 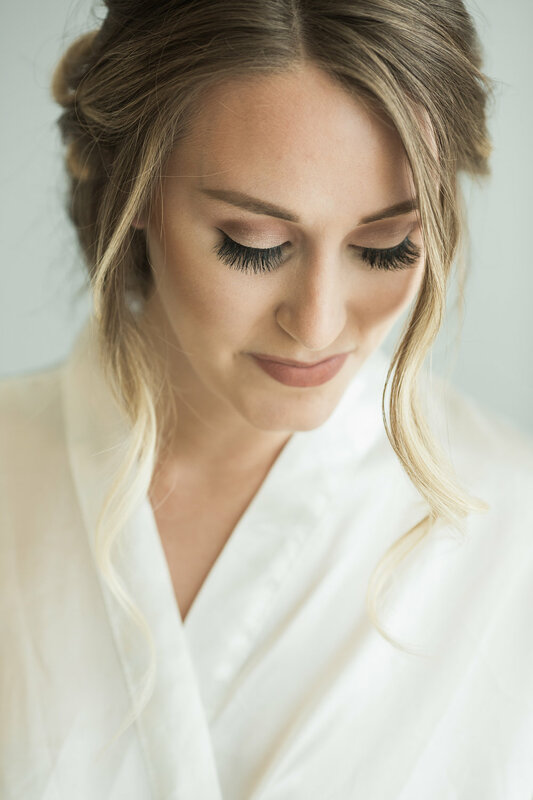 During your bridal preview, you will have the opportunity to try on a few of the most popular bridal hair pieces from Hair Comes the Bride. Click on the photo to the right and view all of their beautiful items. Once you've found the perfect piece, let us know and we will gladly order for you at our discounted rate.